Oddly enough, the company that is helping address Portland’s need for multi-family and low-income housing solutions, is based in San Francisco. Tasked with developing a parcel of river front property owned by Prosper Portland and the Portland Housing Bureau, Bridge Housing celebrated the completion of the top-most portion of its building by revealing the name chosen for it: The Vera. Comprised of 203 units and set for completion this summer, The Vera is already prestigious in name alone, having been monikered after former Mayor and Speaker, Vera Katz. What is so unique about this former Mayor compared to others that have served in Portland? Vera Katz began her political career in her mid-30s, inspired by politicians and advocates such as Cesar Chavez and Robert F. Kennedy. Graduating from licking envelopes during Kennedy’s 1968 presidential campaign, Katz was first elected to State Legislature in 1972, becoming the first woman to serve as the Speaker of the Oregon House of Representatives, where she served three terms, from 1985-1990. 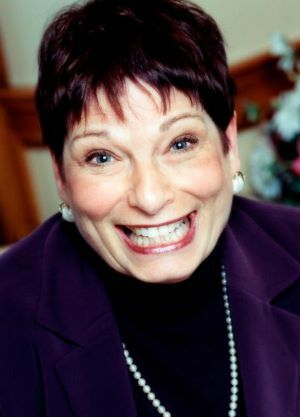 Advocating for gun control, rights for women, migrant workers, the gay community, and for an overhaul of Oregon’s education system, Katz served as the Mayor of Portland from 1993-2005. As Vera Katz advocated for and served a diverse group of citizens, so does Bridge Housing, Prosper Portland, and the Portland Housing Bureau (among the other companies helping with the $84million financing) hope to as well. Of the 203 units, 90 units will be reserved for households earning 0-30% of the Median Family Income, 70 units will be dedicated to Section 8 vouchers, 10 units will be dedicated to homeless veterans using the VA Supportive Housing Program, and the remaining units will be for families earning up to 60% of the Median Family Income. To give you an idea of the ranges, up to 30% MFI for a family of two would be income not exceeding $19,500, while up to 60% for a family of four would be income not exceeding $48,840. A swift approaching completion will cap years of effort by these organizations. Bridge Housing was selected to develop this 13 story building 4 years ago, since then surviving a plethora of obstacles, including the steady rise of construction costs and design changes. What are your thoughts on the Vera? Do you believe this will be a step in the right direction in regards to attacking Portland’s need for low income multi-unit housing? Do you believe the amount of units allocated for each category was on target, or do you believe them not representative of the community?